VALENTINE interiors + design specialises in interior and graphic design for residential and commercial applications. www.valentineinteriors.com.au Multi award-winning Hobart designer, Jane Valentine has over 22 years experience in the design industry and is passionate about reflecting a client's personality in their home. Jane loves the combination of interior and graphic design in commercial work, providing the complete solution. Sarah Mirowski has recently joined the team and has a background in interior design, graphic design and marketing. With over 18 years experience in the Design & Decorating Industry, Tracey from Trace of Elegance has gained a reputation as a leading professional Interior Designer and Decorator for residential and commercial clients in Tasmania. Tracey is a passionate and dedicated Designer and prides herself on providing a personal, yet professional Service to each Individual client. The style of Trace of Elegance is based on the premise that each new client brings in different characteristics and the finished designs need to reflect our client’s style. Hence, all designs are different and completely individual. 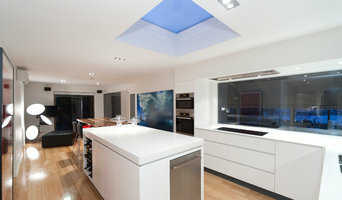 Tracey’s aim is to create beautiful spaces and experiences for our clients. Bury Kirkland Ferri is a team of skilled designers based in Hobart, Tasmania. Founders of the former Bury and Kirkland, acclaimed local designers Caroline Cumberbatch and Rebecca Kirkland shared an accomplished fifteen year collaboration before recently partnering with the talented Claire Ferri to form the new design powerhouse of Bury Kirkland Ferri. With over 40 years combined experience to draw from, BKF clients can expect a first class design solution that is impeccably crafted to suit each individual project, be it large or small. Taking pride in their ability to listen and interpret their client’s needs and aspirations they create innovative, functional and authentic spaces with a texturally rich palette. Engaging with local artisans and craftspeople where possible, their aesthetic often includes custom joinery and bespoke furniture design. Bury Kirkland Ferri’s current body of work spans the residential, retail, hospitality, health, education, business and commercial sectors. Their work has been published in design and lifestyle media, blogs and magazines. The Styling Collective is directed by professional stylist, photographer and interior designer Carmel Boyd. With a background in marketing, customer service & business development, Carmel also has an eye for perfectly styled spaces and a love for simple, sophisticated design. She has the ability to give your products or space a story with the use of creative styling and thoughtful composition. With a her love of interiors and passion to create beautiful spaces, Carmel’s signature style will provide you with a sophisicated, on-trend style for your own business! ‘find & design’ provides innovative and creative design solutions for great kitchen & bathroom and interior living spaces. Whether looking for ideas or thinking of a designed and co-ordinated renovation/extension, ‘find & design’ will make your dream a reality. Lenka combines many years of experience with professional and personal service to deliver a high standard of product to fulfil any design and renovation need. Whether a single room or a whole house renovation or new build, colour or fabrics 10 design will listen to your dream and make it a reality - .We can project manage if required and completely style prior to handover. No project is to big or small --- Transforming houses into Homes. Working with an Interiors Consultant can help you save time, energy and money by planning, budgeting and creating timelines for your design projects. Woolrich Design provides advice on concepts, schemes, planning and budgets for you to consider in the development of your interior spaces. We are also able to manage the project from start to finish, co-ordinating all the aspects of the project for you. Woolrich Design also provides a staging service helping you prepare your property for the sales market. Twofold Studio is a boutique interior design practice based in Brisbane, Australia, specialising in residential and small commercial projects We love design and enjoy working with our clients to achieve quality interior spaces that are not only practical but meaningful and enduring. P1 Design and Developments provides a residential and commercial interior design service that strives to create aesthetically beautiful and functional living spaces. At Milk and Honey Interiors (M & H) we offer a complete approach to interior decoration that caters for the residential and commercial sectors. 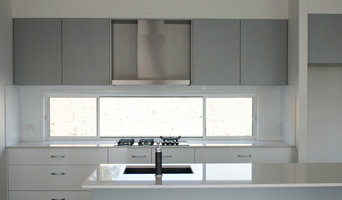 M & H believe in the marriage of functionality and style which offers the client a practical and customised space. Our main purpose and goal is to add value to your project. Let us provide you with the Milk and Honey experience. In house collection of wallpaper Provide design services for big and small projects. 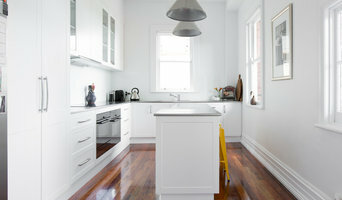 Trovare l’interior designer a Hobart, TAS, AU più adatto al tuo prossimo progetto farà la differenza nel risultato finale, sia che tu abbia in mente una ristrutturazione degli interni per una casa molto ampia sia che tu voglia riorganizzare un monolocale. Se stai pensando di rinnovare la cucina, il bagno o l’intera casa, la migliore opzione è contattare interior designer, italiani o non, che sapranno consigliarti sulle ultime tendenze e dare vita alla tua casa ideale. Sapranno inoltre assisterti nel realizzare lo spazio che hai in mente completandolo con mobili nuovi sia nell’utilizzare pezzi di arredamento che già possiedi per dare un’aria inedita al tuo spazio. Di seguito trovi alcuni consigli su come trovare il miglior interior designer nella zona di Hobart, TAS, AU per il tuo progetto. 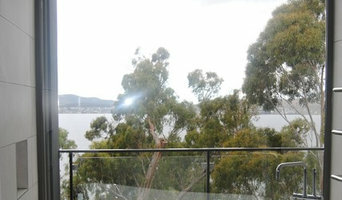 Come trovare un interior designer nella zona di Hobart, TAS, AU su Houzz? Per iniziare, guarda le fotografie del tipo di stanza che desideri rinnovare, filtrandole a seconda dello stile che ti piace di più. Salva in un Ideabook quelle che ti sembrano più interessanti annotando i particolari che ti colpiscono di ogni immagine, e poi contatta direttamente i professionisti che hanno lavorato a quel progetto. Attraverso le immagini che salvi, avrai una buona base di partenza per comunicare visualmente al professionista i tuoi gusti e le tue idee. Alternativamente, puoi condurre una ricerca di interior designer nella zona di Hobart, TAS, AU e contattare i professionisti che ti sembrano più in linea con le tue preferenze. Ti consigliamo di diventare un utente attivo nella community Houzz pubblicando un design dilemma o un sondaggio: i professionisti saranno felici di rispondere alle tue domande. Quando avrai trovato il professionista più adatto alle tue esigenze, contattalo per ottenere un preventivo.